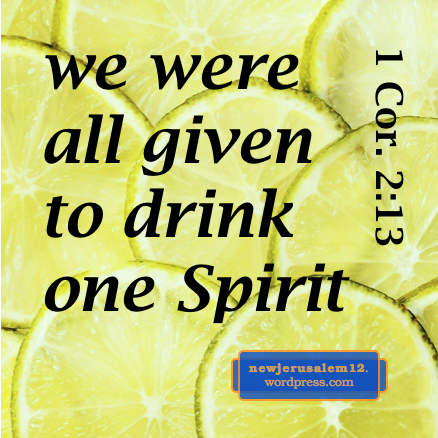 To drink the Spirit (1 Cor. 12:13) is to take the Spirit as our life supply. 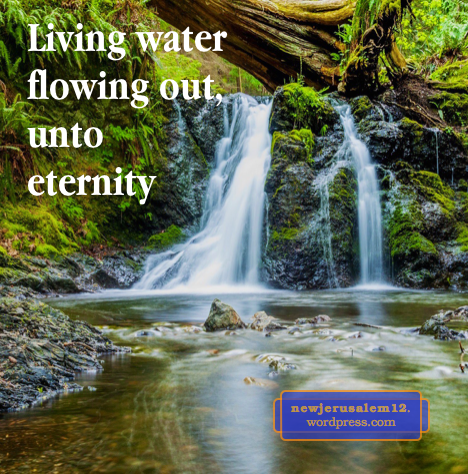 The “river of water of life” flowing from the throne in New Jerusalem (Rev. 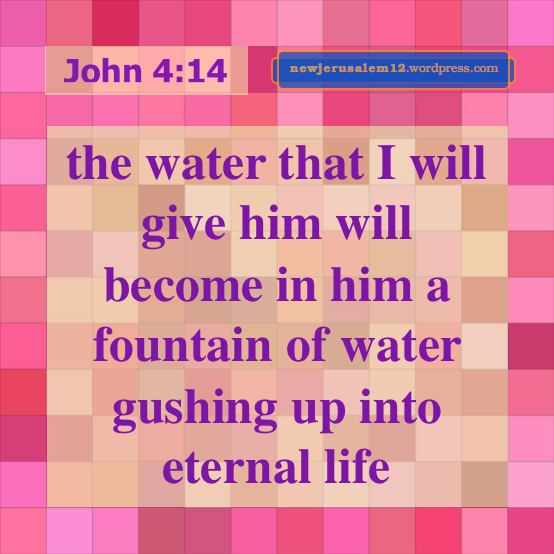 22:1) is the eternal continuation of the living water the Lord Jesus promised in John’s gospel. The Lord invites us to come to Him and drink this water. This coming is believing into Him (John 7:37-38). Lord, grant me faith to believe into You initially and to respond to You every day. Further, Isaiah tells us that rejoicing, thanking, and calling on His name are also ways to drink the living water. In John 7:39 the living water is the Spirit. 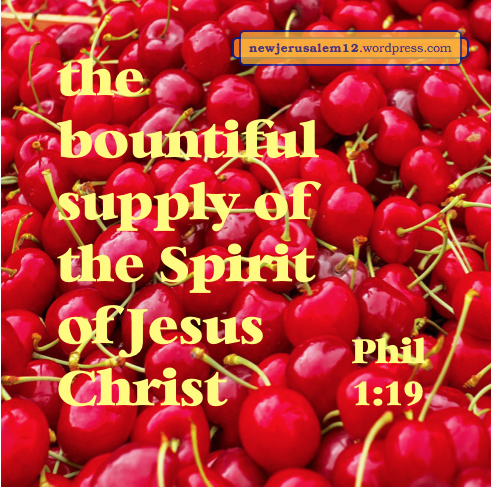 This is also “the bountiful supply of the Spirit of Jesus Christ” in Philippians 1:19. In this verse the bountiful supply of the Spirit comes to us not only through our own action (prior paragraph) but also through the prayers of other believers. 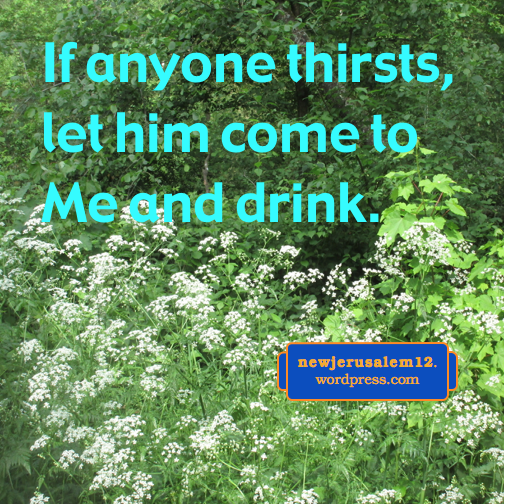 In Revelation 22:17 the Spirit and the bride cry out, “let him who is thirsty come; let him who wills take the water of life freely.” The invitation is to everyone, to whoever is thirsty and willing to come. __Eat! The tree of life with fruits abundant, richly grown. __Let him that heareth, cry. ____Take freely the water of life! The other verses of the song have words about Christ, our experiences of Him, and our oneness. Everything in this song is for today but will also be true in New Jerusalem. In Christ we have eternal life. New Jerusalem is an eternal city, so it is intimately tied with eternal life. This post begins a look at that which is eternal throughout the New Testament, and the relationship to New Jerusalem. John 3:15, 16, 36 (and many more verses) give the first step – whoever believes into the Son of God has eternal life. Thus, whoever believes also will be part of New Jerusalem, the city of life. This life is the Son, Jesus Christ, as we see in John 11:25 and 14:6; hence, He who has the Son has the eternal life (1 John 5:11-12). The Lord also tells us, “He who eats My flesh and drinks My blood has eternal life” (John 6:54). To eat His flesh is to receive by faith all that He did in giving His body for us; and to drink His blood is to receive by faith all that He accomplished in shedding His blood for us*. This eating and drinking will continue into New Jerusalem where we will eat the fruit of the tree of life and drink the water of the river of life. This eating and drinking is not physical but is spiritual, by faith. Many were bothered by the Lord’s word about eating Him (John 6:60) because they only knew the natural realm. 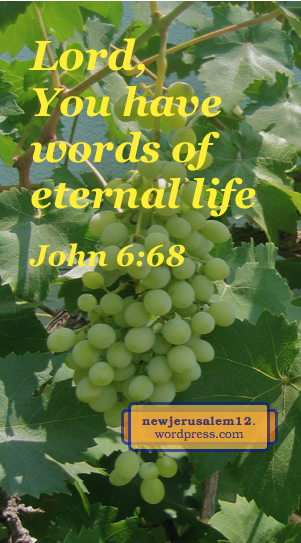 But He said (v. 63), “It is the Spirit who gives life; the flesh profits nothing; the words which I have spoken to you are spirit and are life.” Then Peter confessed (v. 68), “You have words of eternal life.” Lord, keep us eating Your words of life. When we are in spirit and receive the Lord’s words as spirit and life, we are nourished and have a foretaste of the tree of life in New Jerusalem. * From footnote 2 on John 6:54 in the Online Recovery Version New Testament, © LSM. 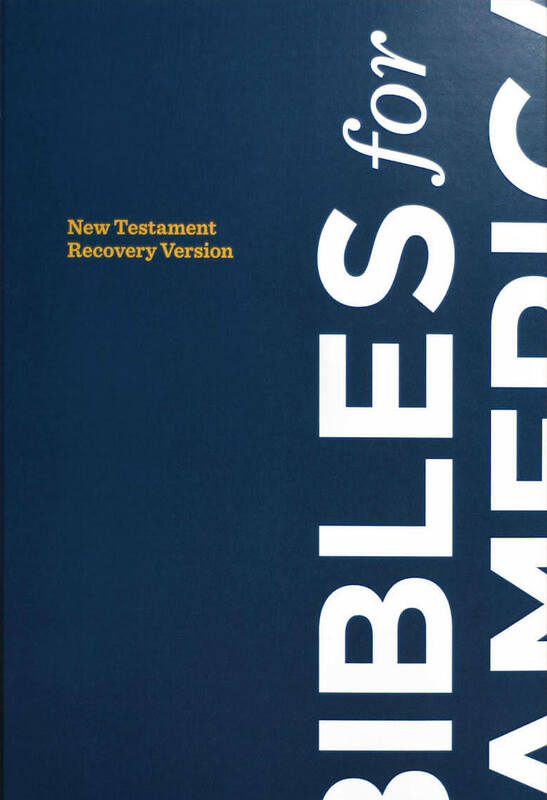 All the positive things in the Old Testament are symbols, pictures, or prophecies of the New Testament realities. Some of these pictures correspond with characteristics of New Jerusalem. Here is a list of posts showing parallels between Exodus and New Jerusalem. When we go up the mountain, we have undivided time with the Lord to see a full vision. 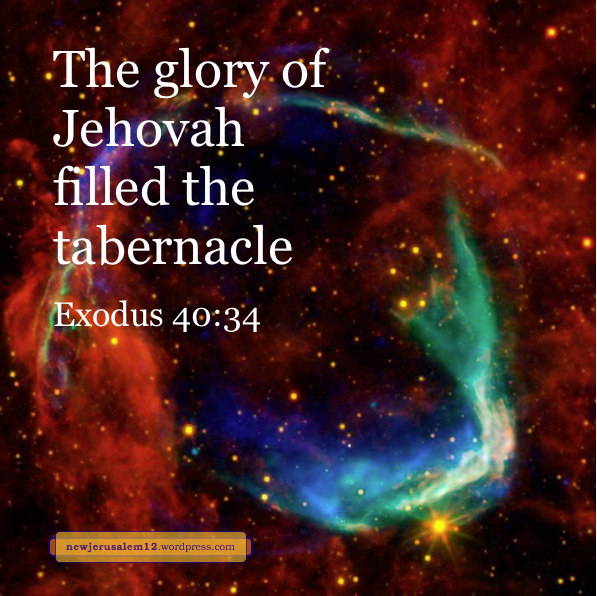 The holy of holies in the tabernacle depicts New Jerusalem as the eternal holy of holies. All the events that happened with Israel are an example written for us (1 Cor. 10). The journey in Exodus has many symbols of our experiences of Christ and the Spirit. This is a supplement to a series of posts on New Jerusalem as the consummation of the New Testament oneness. 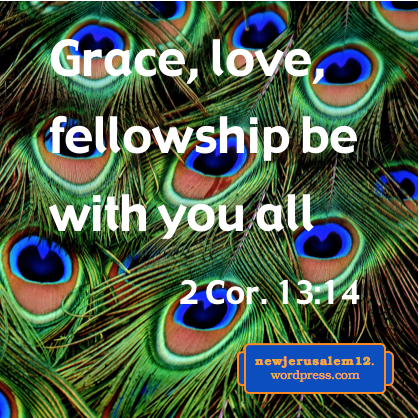 The one flock, one Body, and one new man all point toward the one city, New Jerusalem. The end of John 11 records Jewish leaders discussing how to limit the influence of Jesus. During this time it was of God that the high priest prophesied that Jesus would die. John tells us, “he prophesied that Jesus was to die for the nation, and not for the nation only, but that He might also gather into one the children of God who are scattered abroad” (v. 51-52). New Jerusalem is the ultimate result of this gathering. Through His death and resurrection the Lord redeemed His chosen people from among the Jews and Gentiles, regen-erated us, and formed us into His Body, the one new man. 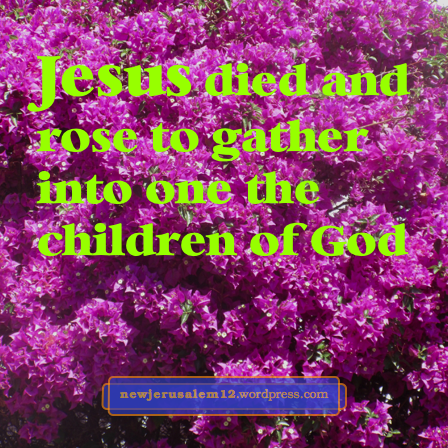 This is the initial step of gathering the children of God into oneness. This step of formation is complete. Praise Him for this! 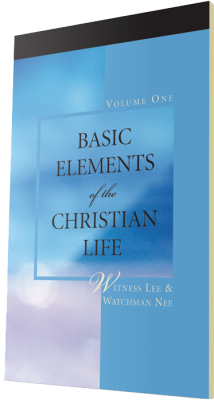 Based on Christ’s completed work, “in one Spirit we were all baptized into one Body, whether Jews or Greeks…” (1 Cor. 12:13). This was our entrance into what Christ accomplished. Now we participate by drinking the same one Spirit. 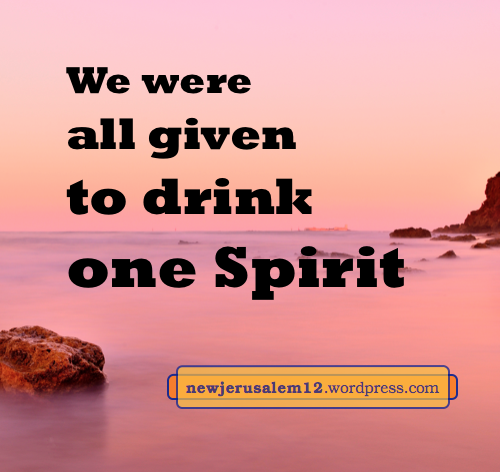 This drinking continues eternally—the Spirit flows as the river of life in New Jerusalem.